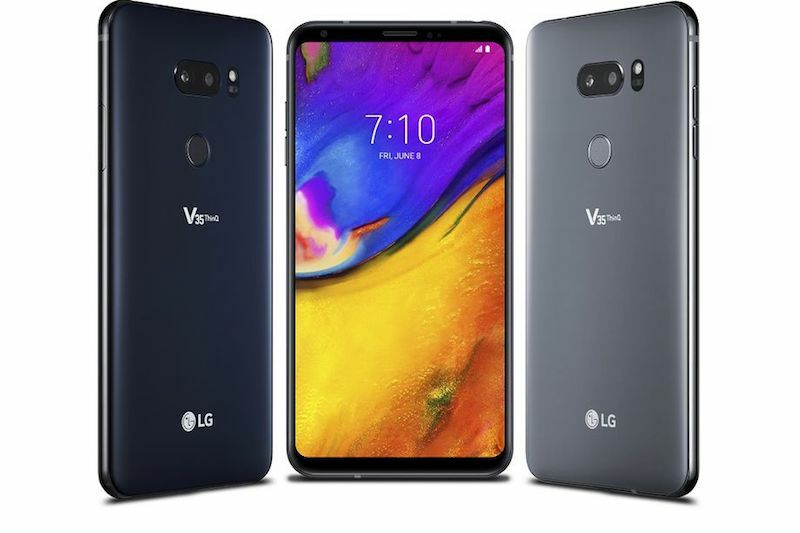 South Korean smartphone brand, LG has silently introduced yet another flagship smartphone, the LG V35 ThinQ as a successor to this year’s LG V30S smartphone unveiled at the MWC 2018. Hardware wise, the newly launched V35 ThinQ shares a lot of similarities with the recently launched G7 ThinQ, while on the design front, LG went with the same notch-free design of the LG V30S and LG V30. As of now, the LG V35 ThinQ has been announced only in the US as an exclusive to AT&T, but it will also be available from Google’s Project Fi. Pre-orders for the device will begin Friday and one can pick up the smartphone from the stores starting June 8 outright for $900 (approx. Rs 60,800). As mentioned, the V35 ThinQ has the spec-sheet similar to the LG G7 ThinQ, which is also a flagship smartphone, for the unaware. The phone has a 6-inch Quad HD+ 18:9 display with a resolution of 2880 x 1440. It’s an OLED panel with a pixel density of 538 PPI. Under the hood, it has the Qualcomm Snapdragon 845 chipset, mated with 6GB of RAM. There’s no 4GB of RAM this time around. The smartphone comes with 64GB of internal storage and there’s a slot for microSD card. Cameras in the smartphone include a primary 16MP shooter with f/1.6 aperture, 71-degree field-of-view. The primary sensor is paired with a secondary 16MP super wide-angle sensor with f/1.9 aperture and 120-degree field-of-view. Up front, we have an 8MP selfie shooter with f/1.9 aperture and 80-degree field-of-view. This device also boots Android 8.0 Oreo and the ThinQ branding refers to Artificial Intelligence features it packs. LG has added features such as AI Cam, Super Bright Camera, Super Far-Field Voice Recognition and Google Lens. Other features included in the smartphone are Hi-Fi Quad DAC, DTS:X 3D Surround Sound, IP68 Water and Dust Resistance, Face Recognition and fingerprint scanner. The device also offers wireless charging and it’s MIL-STD 810G compliant too. LG has added a 3300mAh battery with Qualcomm Quick Charge 3.0 support. Coming to the differences between the LG G7 ThinQ and the V35 ThinQ, the former packs an LCD screen while the latter comes with an OLED screen. The battery size on the G7 ThinQ is a 3000mAh one, a little 300mAh less than the V35 ThinQ. And the V35 ThinQ comes with 6GB of RAM in the US.